PayPal Checkout is the fast and secure way to enjoy the wide world of Google products. 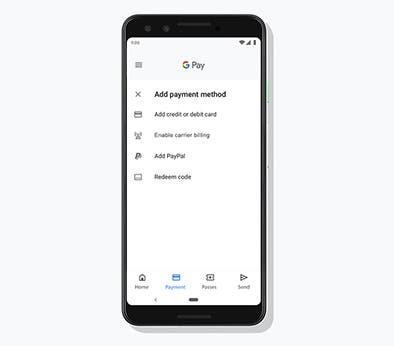 Add PayPal to Google Pay™ just once to speed through checkout on your favorite Google products - Google Play, YouTube, and Google Store. Use PayPal to checkout across these Google products. 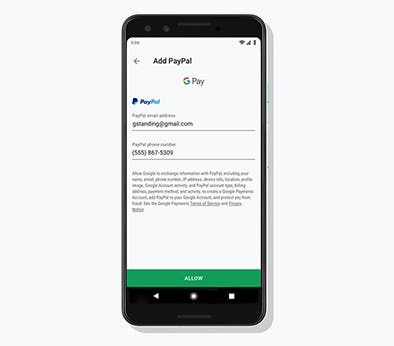 How to add PayPal to Google Pay. So you can press play fast. When you link PayPal to Google Pay, you can rent or buy movies on YouTube without entering payment details. You can also use PayPal to subscribe to YouTube’s premium subscription service, YouTube Red, and have monthly payments auto-deducted. 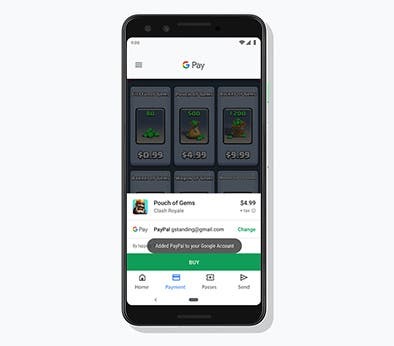 Use PayPal on Google Play. Quickly pay for all your favorite apps, movies, music, books and more while keeping your personal information secure during PayPal checkout. Android, Google, Google Pay, and Google Play are trademarks of Google LLC.